A Hancock mainstay for nearly two decades suffered its second devastating blaze in five months yesterday. 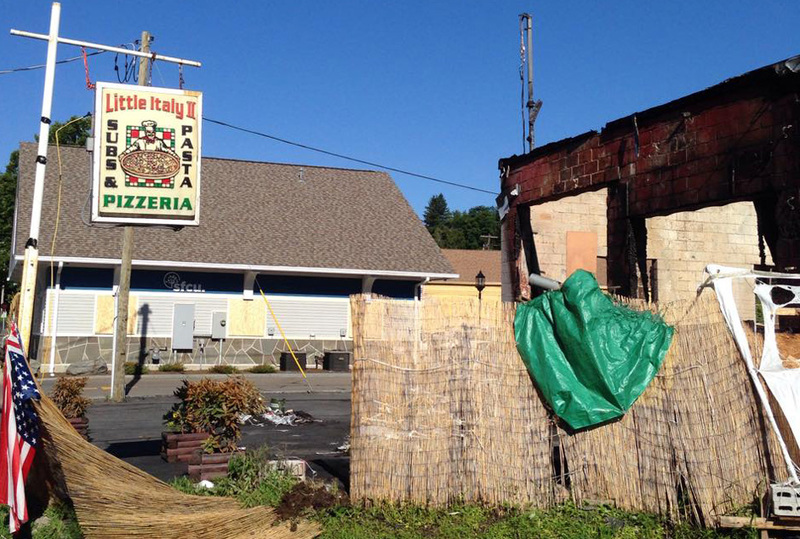 Little Italy II, a small pizzeria and sandwich shop at 43 W. Main St., caught fire around 3 a.m. Thursday and firefighters were on the scene until about 7:30 a.m., according to fire officials. The Sidney Federal Credit Union at 70 W. Front St., was also damaged, according to witnesses. Great job to all hancock and deposit fire department members at the little Italy fire great save again to all the surrounding buildings.also thank you to east branch and walton for standby. On March 1, a seven-alarm ripped through the restaurant and a neighboring hair salon. The restaurant was rebuilding, and had set up a temporary structure with fencing and picnic tables to serve its customers, according to neighbors.